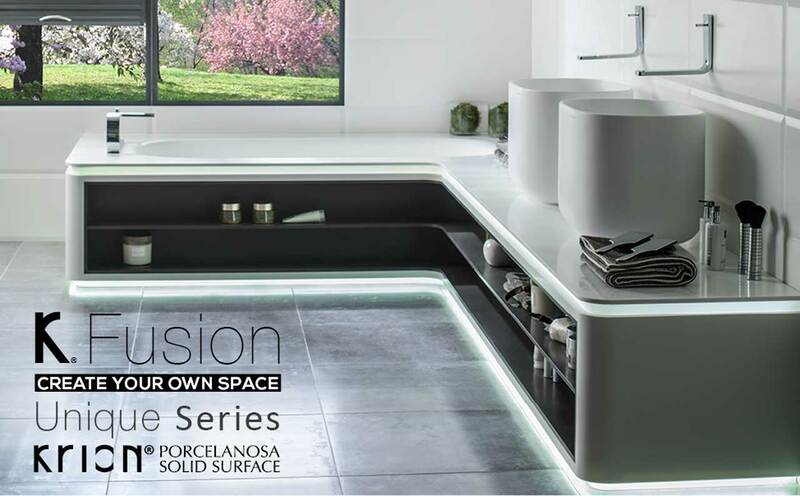 During the recent trade fair, at KRION®, we wanted to promote one of the best received products from the last PORCELANOSA show, the UNIQUE Series. The endless designs and combinations which can be created with the UNIQUE collection with sheets of KRION®, using different manipulation techniques and colours, allow design solutions for all spaces, adapting to the tastes and needs of the client, whether functional, spatial or aesthetic. The UNIQUE Series is a large collection of washbasins, shower trays and bathtubs to use in the transformation process with sheets of KRION®.